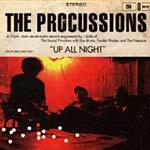 Exclusive Procussions CD, encompassing a session that took place all in one night. If you liked the jazzy interludes of the full length a la jazzy Madlib, then you'll definitely want to scoop up on this release! CDR only, no cover sorry! Produced by Stro the 89th Key.